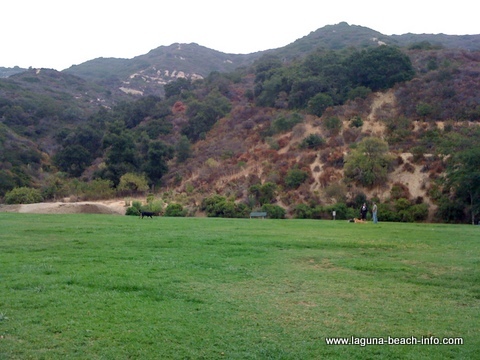 The Laguna Beach Dog Park is a fantastic facility for your dogs to socialize and interact with other pups in a grassy area that is over two acres and completely fenced in! After crossing the entrance bridge and going in through the first gate, there is a preparation area where you can unleash your dogs before they enter the park. I always recommend that you remove their leashes, because for some reason the dogs always seem to get along much better when they are taken off leash. 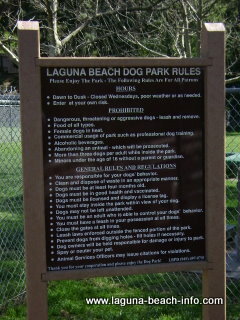 The rules for the Laguna Beach Dog Park are posted clearly at the entrance of the park. These rules exist to maximize the enjoyment and the safety of the park for all Bark Park patrons. Dawn to Dusk - Closed Wednesdays, poor weather or as needed. 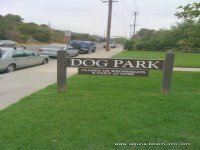 There is limited free parking in front of Laguna Gardens Nursery and additional metered parking directly in front of the Laguna Beach Dog Park along Laguna Canyon Road (Hwy 133), so don't forget to bring some quarters! 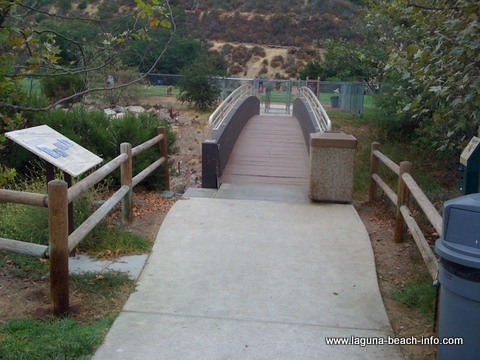 Make sure that you are careful as you enter and exit your vehicle, as traffic along Laguna Canyon can be fast moving. Also, when getting your dogs into or out of your vehicle make sure that your dogs are on leash to keep them safe from nearby passing vehicles until they have safely entered the entrance to the Bark Park.